Our team is central to what we do and how we approach our projects. At Farrells we have over 200 professionals working from studios in London, Manchester, Hong Kong, and Shanghai, with additional representation in Singapore and Beijing. Our team is highly cosmopolitan and multilingual, enabling us to readily serve clients around the globe. We hold diverse expertise covering all architectural sectors, urban planning and design, interior design, building information modelling (BIM), visualisation, and project management. You can get to know us here. Richard’s key skills include rationalisation/panelisation of complex geometries, co-ordinating of technical information that is generated from developing complex Architecture and fluency in software needed to output and communicate this into construction. Experienced in application of rationalisation principles for complex façade systems and structures during all stages of the project timeline, including early stage value engineering at the competition stage as well as panelisation and detailing during Technical Design to provide a cost effective design solution to the Client. Optimisation is achieved through utilising advanced parametric software packages such as Rhino, Grasshopper and Python. Key projects include EGQ in Shenzhen, China, where key roles included the design development and technical development of the complex façade, and QDM in Doha, Qatar, where technical proficiency with software and coding were critical in designing and managing the Architecture. Farrells collaborated with Samoo Architects to deliver two key stations of the new Doha Metro in Qatar – Msheireb and Education City stations. Evergrande Jinan International Finance Centre is a mixed-use development on a 24,400 m2 site in Jinan, Shandong Province. The landmark 518-metre skyscraper will be the second tallest building in China upon completion. The 350-kilometre Kuala Lumpur-Singapore High Speed Rail, set to open in 2026, will connect Singapore to the Malaysian capital in only 90 minutes. 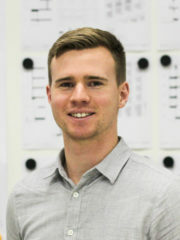 Jonathan joined Farrells in 2016 as an architectural assistant having completed his M.Arch at Curtin University, Australia in 2014. Previously Jonathan worked for a small but long established practice in Australia that focused on designing sustainable communities, high quality affordable housing and developments, community infrastructure and beautiful environments. After gaining experience working on a range of projects including commercial, community and master planning, tourism and residential work he went travelling for a year before settling in London. At Farrells Jonathan is currently working on a mid-sized mixed use development in Westminster. 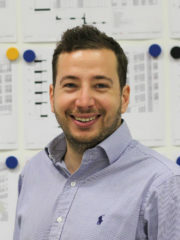 Tolis holds a master’s degree in architectural engineering from DUTH University of Thrace and is a registered architect with the Technical Chamber of Greece (TCG). 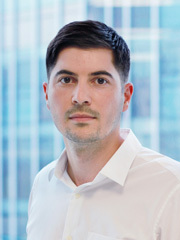 Since graduating, Tolis has cultivated years of experience in a wide range of project sectors including masterplanning, mixed-use, commercial and cultural developments in Europe, Middle East, Hong Kong and mainland China. He has worked from concept design through to detail design. Before joining Farrells he worked as an architect at OMA Rotterdam where he developed his design skills working on various high profile projects worldwide, while as an independent architect he has developed completed projects in Europe and Asia, covering a broad range of scales and sectors from exhibitions to hospitality, residential, retail, and commercial. Since joining Farrells in 2013, Tolis has worked on projects including the West Kowloon Cultural District and M+ Museum in Hong Kong, Sung Wong Toi Station in Hong Kong, One Excellence Qianhai in Shenzhen, and most recently the Kowloon East Regional Police Headquarters. Built on the site of the former Kai Tak Airport police base, the complex will serve as a modern command centre for police in fast-growing Kowloon East. M+ will serve as a cultural hub in Asia and foster interdisciplinary exchange between the visual and performing arts. 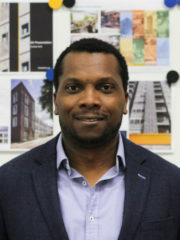 Ade joined Farrells as a Senior Architect in April 2018. Ade is currently a Project Architect on Lyons Place, a mixed tenure housing and retail development on Edgware Road due for completion June 2019. Ade studied at Portsmouth University for his first degree gaining a second-class upper Bachelor degree with honours. He completed his Diploma in Architecture at the University of East London and studied Housing and Urbanism at the Architectural Association, gaining a Master degree. His professional qualification as an Architect was gained at the University of Westminster. Before joining Farrells, Ade was a Project Architect at Make, leading a team to deliver The Monument Building – a mixed-use scheme comprising of retail and office in the City. Ade worked as a Project Architect on Fitzroy Place at Lifschutz Davidson Sandilands – a mixed-use development comprising of retail, residential and office in the heart of Fitzrovia. Ade is a keen sportsman and enjoys being active. He played club rugby for Richmond and was selected to play rugby for England in his heyday. A sensitive yet colourful addition to the Edgware Road, Lyons Place is an innovative development in Westminster, comprising 76 apartments and townhouses, of which 46 will be affordable. 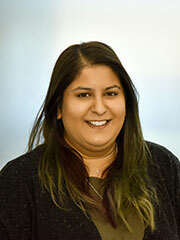 Ameeka joined Farrells in January 2017 as an Architectural Assistant, after graduating with a BA Honors in Architecture from Kingston University. In her time at Farrells, she has worked on several projects, and is currently working on the Cumbria Vision. Prior to joining Farrells, Ameeka has spent time working in other aspects of the Architectural world, most recently gaining experience as a model maker. When not in the office, Ameeka loves to travel and explore new places – her favorite place so far being Kerala in South India. She also enjoys exploring London, camera in hand, looking for new and exciting sources of inspiration. Alec joined Farrells in 2014, having completed his M.Arch at Newcastle University and the National University of Singapore, where his work focused upon ‘off the grid’ housing in tropical environments. Upon joining the office, Alec worked on a wide range of projects including a number of large scale masterplanning projects in both the U.K. and Ireland. He is now a long standing member of the Chelsea Waterfront team, working on the interior fit out of high-end riverside apartments, which allows him to indulge his love of high quality joinery. Outside of the office, Alec can typically be found pounding the streets of North London in training for his next marathon or enjoying things at a more leisurely pace on the cricket pitch. Whenever possible he tries to find time to escape the big smoke back to his beloved native Herefordshire. a residential led mixed use development. 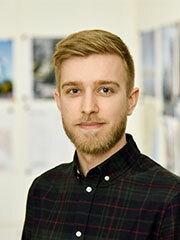 Alistair joined Farrells as an Architectural Assistant in 2018 as part of the Convoys Wharf team, and has previous experience working on a range of projects within London’s high-end, luxury residential sector. Completing his architectural studies at Oxford Brookes University and the University of Westminster, his research focused on architecture’s ability to address complex socio-economic scenarios, as well as, the potential for new types of mixed-use architecture within the city. Enjoying a range of extreme sports, he is a keen long-distance cyclist, and has completed several tours across Europe. Peter is a Design Partner at Farrells whose expertise lies in concept design and design development through to completion. His experience is wide ranging and includes buildings in the commercial, residential, retail, cultural and leisure sectors as well as urban design and interior design projects. 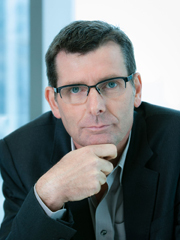 Peter is responsible for complex, mixed-use urban regeneration projects throughout London and also in Asia. He plays a lead role in the design and coordination of complex infrastructure projects including Gatwick’s masterplan based on a second runway and an air rights development in Marylebone. He is leading the design development of Royal Albert Dock for ABP and a number of residential schemes including ‘build to rent’ at Ilford for U+I. Peter’s personal commitment and strong vision ensure that projects achieve the highest standards of design excellence and delivery. The 35-acre site at Royal Albert Dock is set to be transformed by Farrells. Gorleston Street is an exciting residential development of 29 rental apartments, comprising 23 affordable intermediate, alongside 6 private units. Formerly known as Valentine's House, the existing office building will be converted into 122 new homes, which have already been pre-sold, and 16,000 sq. ft of ground floor retail space. Ceri recently joined Farrells in August 2018 after graduating from Manchester School of Architecture with a first class honours, as well as an academic excellence prize in first year. In her third year, she was assigned to an atelier that explored the relationship between ecology and architecture. She decided to explore the effects of light pollution to bats in the city, which led her to design a stylised bat cave for the declining population of bats in Manchester city centre. At Farrells, Ceri is working on Ruby Triangle as part of the design team. Outside of work, she is an avid yogi and Chinese kickboxer. She also enjoys visiting art galleries and can often be found walking her dogs in the Hertfordshire countryside. Ruby Triangle is a mixed-use regeneration scheme located on Old Kent Road in Southwark. 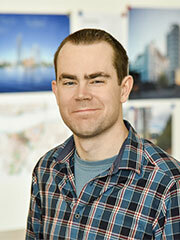 Neil is lead partner at Farrells architect/planning practice for strategic infrastructure and urban design projects. 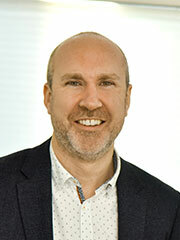 An architect-planner with over 30 years experience in the creative and enabling aspects of place-shaping and built environment projects, Neil is currently advising both public and private sector clients on the development impact of some of UK’s major planned infrastructure investments. 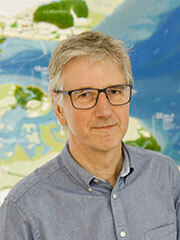 His work with Farrells includes the Thames Gateway, the campaign for ‘urban greening’, and for holistic sustainable planning of the UK’s transport infrastructure. Farrells have been involved with masterplanning the Thames Gateway for two decades, believing passionately in the potential East London and the Estuary have to accommodate London’s future growth. Farrells vision for Old Oak Common is focused on the unparalleled level of accessibility this potential ‘super hub’ interchange will have. The primary development at Embankment Place was a new office building occupying the air-rights space above Charing Cross Station. 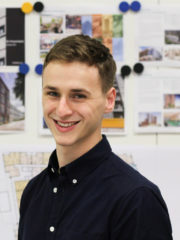 Daniel is a recent Part 1 graduate from UCL’s Bartlett School of Architecture and has been working on the Earl’s Court project since joining Farrells in July 2018. Previously, he worked with Grimshaw on modular housing, as well as having experience with Stanton Williams, Nicholas Hare and LDS Architects. His University work focused on inverted skyscrapers in Hong Kong to provide a retreat and place of meditation for the city’s inhabitants. In his spare time, he thoroughly enjoys playing music, in particular piano, violin and saxophone, as well as playing hockey for his local club. He recently completed the London-Brighton Cycle Ride. The entire area around the Exhibition Centre in Earls Court is being redeveloped, with three major landowners working in collaboration. Alan holds in-depth technical knowledge, leadership skills, and a collaborative mindset derived from extensive experience in architectural design and infrastructure projects of varying size and programmatic complexity. He was responsible for developing the design of two of Asia’s largest railway stations: Beijing South and Guangzhou South, both integral nodes on the Chinese national high speed rail network. 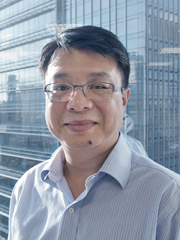 Alan has a strong working relationship with the MTR Corporation project team and expert knowledge of urban railway design standards, practices and requirements, having served as design team leader for Kennedy Town Station, Sheung Wan Station, and many other MTR projects. His expertise in compiling tender contracts and specification writing provides him a solid understanding of issues that affect construction programmes. 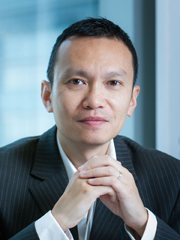 He has served as senior site management on many projects in Hong Kong, including the M+ Museum. Kennedy Town Station is the new western terminus of the MTR Island Line. It comprises two underground levels with entrance pavilions, a bus terminus, and playgrounds above. 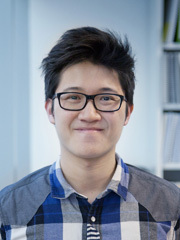 Franky holds a Master of Architecture from the Bartlett School of Architecture and has worked at various architecture firms in both Hong Kong and the United Kingdom. 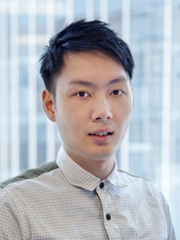 He is responsible for delivering the design and coordinating various projects in the Hong Kong office. Beginning with Nanjing Eco-Island, Franky developed experience in the design, planning and construction of mixed-use developments and integrated transport related infrastructure projects at various stages of procurement including One Excellence Qianhai and the Qianhai Financial Centre (both in Shenzhen), Raffles Hospital extension (Singapore), Shatin to Central Link underground stations within Kai Tak Development area (Hong Kong), Bandar Malaysia competition (Kuala Lumpur), the Guangzhou Museum competition (Guangzhou), CITIC Shipyard Mixed-use Development (Shanghai), Evergrande Masterplan & Landmark Tower (Jinan) and Springs Masterplan (Shanghai). One Excellence is the first major development in Qianhai, a vast new district in western Shenzhen that aspires to form an international business centre rivalling Wall Street or Canary Wharf. The Qianhai Financial Centre (QFC) is rising on one of the most prominent sites in Qianhai, a new financial and business centre in western Shenzhen. Located in Hangzhou, next to the historical Grand Canal and Xiangji Temple, this mixed-use development includes a gallery lane, a sunken plaza performing arts, retail, office and residential towers. Simon is a registered architect in Hong Kong and Canada with project experience in Hong Kong, USA, Canada, India, and mainland China. 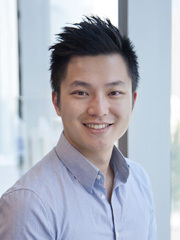 Holding particular interest in functionality, materiality, user experience, and design thinking, Simon graduated from the University of Toronto with a Bachelor of Architecture degree and went on to earn a Master of Design from the Hong Kong Polytechnic University. He has extensive experience in institutional, super high-rise, and cultural projects including the M+ Museum in Hong Kong’s West Kowloon Cultural District (WKCD), the award-winning Student Centre at the University of Toronto, and a 518-metre landmark tower in Jinan, China. 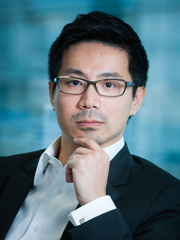 He has also designed and managed mixed-use developments in Beijing, Shenzhen, and Mongolia; masterplans in Shanghai, as well as Hong Kong’s WKCD; commercial projects including the Huawei Nanjing Technology Campus; Winrock Headquarters in Arkansas; as well as transport-oriented schemes. He is adept at all stages of the architectural process, from concept design to construction. Simon was also involved in a number of high-profile international design competitions including the Yenikapi Transfer Point and Archaeopark Competition in Turkey, the 330 m Hanking Tower in Shenzhen, a CBD masterplan including two 300 m tall mixed-use towers in Beijing, the winning Downsview Park competition scheme in Toronto with OMA, and most recently the winning M+ Museum entry with Herzog & de Meuron and Arup. As a LEED Accredited Professional in the US and a BEAM Professional in Hong Kong, Simon emphasizes the importance of sustainability by marrying innovative solutions with passive designs while maximizing social, economic and cultural benefits. Simon is leading the Farrells team on the M+ Museum, holding responsibility for the overall design, management, operation and implementation of this high-profile project. Simon has spoken at conferences and is active in architectural education, having taught at University of Hong Kong and participating as an external reviewer at institutions locally and abroad. The Shangri-La Centre is a modern three-tower commercial complex in Ulaanbaatar, the capital city of Mongolia. A new financial district in China’s capital. Chen Min’s architectural experience is broad and international, having both studied and worked in the UK and mainland China. His direct involvement on a wide range of project scales and typologies, from large residential developments to high-rise mixed-use complexes, renders him an open-minded designer with a professional attitude and a diverse range of 2D and 3D computer skills. During his practice, Chen Min has developed a belief that architecture should have a strong beneficial impact on society as a whole, acting to improve individuals, communities and the environment in general in a responsible and sustainable manner. This ambitious scheme for Winland Group will form the centrepiece of a new seaside financial district in Xiamen, an historic port city in Fukien Province. Crystal holds close to a decade of experience working across a wide range of sectors including government, institutional, residential, infrastructure, and commercial. She has worked with projects of various scales, from schematic design to detailed design and through to construction. In her previous roles at Aedas and Wong and Ouyang, Crystal gained extensive experience in space planning, interior design, detailed design, tender documentation, government submissions, contract adminstration, project administration, and site coordination. Since joining Farrells in 2016, Crystal has primarily worked on the Kowloon East Regional Police Headquarters for the Hong Kong Government. 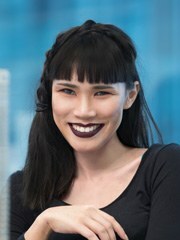 Crystal earned a master’s degree in architecture in 2009 from the University of Hong Kong and became a registered architect under ARB (HK) in 2011. She also achieved the BEAM Professional qualification from the Hong Kong Green Building Council in 2013. 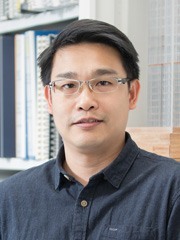 Kwok-wai is a Senior Architectural Technician at Farrells with more than 40 years of experience in the field of architectural drawings and documentation. He is well-versed in local building control and statutory compliance and holds expert knowledge of the preparation and co-ordination of government submissions and working drawings. Earlier in his career, Kwok-wai worked various Hong Kong architectural, engineering, and contracting firms. This afforded him the opportunity to tackle an equally diverse range of project types, including industrial buildings, theme parks, hotels, residential developments, and commercial buildings. In the 1990s he worked on various projects for the MTR Corporation including both railway infrastructure and property developments. 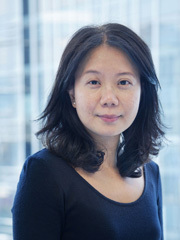 Since joining Farrells’ Hong Kong office in 2014, Kwok-wai has again been handling MTR projects – this time re-provisioning works associated with the Shatin to Central Link, including the new Police Officers’ Club in Causeway Bay, alteration works at the Police Sports and Recreation Club in Prince Edward, and the Harbour Road Sports Centre and Wan Chai Swimming Pool. In addition, he has helped lead our technical teams to produce drawings for the M+ Museum for Visual Culture and the Kowloon East Regional Police Headquarters, both in Hong Kong. This integrated sports complex, built in two phases, is part of the reprovisioning works for the Shatin to Central Link project. 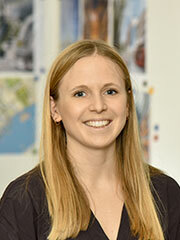 Erica has nearly 15 years of experience in architectural practice. She has been engaged in projects from both the private and public sectors in various regions, including Hong Kong, Macau, mainland China and Cambodia. 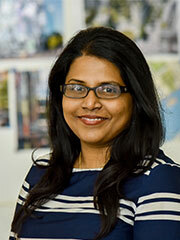 Her involvement in projects from A&A works, sports and leisure grounds, office towers to large scale residential development has improved her understanding of the architectural industry. She is equipped with the aptitude to all stages of work and solve a variety of challenging design problems. In her role on the land plot 2E31 Shanghai Shipyard (Pudong) masterplan, Erica set out the basic design parameters through coordination with the local design institute and various consultants. Involvement in general planning and facade design helped equip her with the ability to carry out design development with a comprehensive approach. For two years Erica also worked on Vattanac Capital, tackling diverse design challenges and gaining experience in communication and coordination of the design and construction issues between the client, consultants, and other stakeholders. Heralding confidence in Cambodia’s future, Vattanac Capital was recently completed in fast-growing Phnom Penh and stands proudly as the country’s first skyscraper. As Sir Terry’s Executive Assistant, Emma’s role has evolved over the last fifteen years to play a central role in the office’s publications and archival resources. Previously working in the music industry, Emma brings creativity and flair to all her projects and her Farrells knowledge is unsurpassable. Annette studied at the University of Bath and Manchester School of Architecture and since completing her M.Arch in 2016, she has worked as an Architectural Assistant at practices in London and Melbourne. Annette has experience at several small practices, having worked on residential, commercial, public space and educational projects at various design stages, as well as several international design competitions. 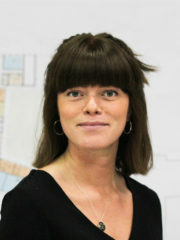 She is currently working on the Chelsea Waterfront project at Farrells. In her free time Annette enjoys catching up with friends, experimenting with cooking and learning Spanish. She has a great love for travel and has recently completed her second 6 month trip in Asia. 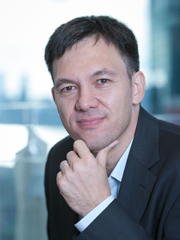 Toby has been with the practice since 1995, working in both the Hong Kong and London offices. He studied at the Duncan of Jordanstone College of Art in Scotland and qualified as an architect in 1989. 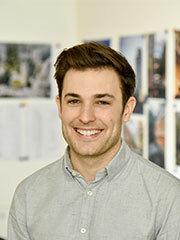 Toby is a member of the ARB, RIBA and the Academy of Urbanism. Toby’s main area of expertise lies in the design of delivery of large complex master plans including: Kowloon Super City, a master plan for the development above and around the Kowloon airport railway station; Greenwich Peninsula Master Plan for 10,000 new homes around the O2 which, at the time, was the largest planning application in London since WWII and ground breaking being the first to use the parameters approach. Toby is now leading the design of the 15,000 home Castle Green project in Barking which includes building over and encapsulating of one of London’s busiest Roads, the A13 and integrating Britain’s first rail link to China. Toby has two children. He has a keen interest in the Thames and its nautical history and promotes the use of the Thames for sail cargo by crewing on a classic Thames barge. Toby is a keen sailor and races a classic Nicolson yacht from the Dartmouth Yacht Club. Farrells designed the largest stop on the Lantau Airport Railway line, Kowloon Station, which serves both the Tung Chung Line and the Airport Express. 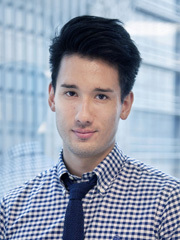 Jose holds work experience in Spain, the United Kingdom, mainland China and Hong Kong. He has extensive knowledge and experience across the cultural, commercial, hospitality, educational, urban design, refurbishment and residential sectors. His work has encompassed all project stages, from developing concept designs and competition-related work to producing submissions to government, specific tender packages, specifications and construction documentation. He has worked in multi-disciplinary teams in close collaboration with local designers, clients, consultants and contractors. His longtime interest in materiality and building envelope design is currently taking shape on the construction of a unique facade for the M+ Museum in the West Kowloon Cultural District, where he leads Farrells’ facade team and collaborates with joint venture partners Herzog and de Meuron. Jose is keenly interested in sustainability, restoration and conservation work, as well as traditional and contemporary building design. Being part of sustainability groups and various excellent BREEAM and BEAM Plus projects has helped him develop a range of sustainable design skills. Jose holds a Certificate in Conservation and Restoration of Architecture and is actively engaged in the research and application of the latest innovative materials and technologies. He is also skilled in the implementation of BIM at all stages of project development. 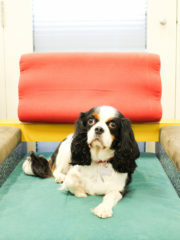 His other responsibilities include internal audits within the practice to add value and implement Farrells procedures. This Cheung Kong residential scheme in Shanghai comprises 14 apartment blocks ranging in height from 20 to 33 storeys. 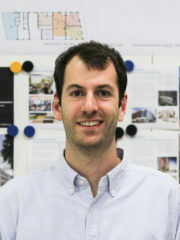 Matthew is a UK registered Architect and Associate at Farrells who graduated from The Bartlett School of Architecture. 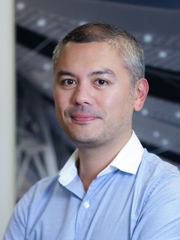 He previously worked with Zaha Hadid Architects and has a strong design background with experience of a wide range of project types, both throughout Asia and within the UK, including high speed rail stations and supertall skyscrapers. Jason has international experience in the United States, Holland, and mainland China. He was exclusively dedicated to the Police Sports and Recreation Club (PSRC) in Mong Kok from concept design through to tender drawings, statutory submissions and full time design liaison role. He is currently overseeing the design at Ma Tau Wai and To Kwa Wan underground stations in Hong Kong, part of the MTRC’s Shatin to Central Link project. Through close co-operation with the MTRC from project commencement to completion, Jason has gained an understanding of the collaborative process between the MTRC’s design and construction management teams, the general contractor, engineering consultants and the engagement of end user stakeholders to resolve issues efficiently with solutions that benefit all parties. He also has thorough experience in ensuring that the design conforms to Hong Kong building codes and regulations, and the application and administration of statutory issues. Farrells designed the new Police Officers’ Club in Causeway Bay, an important reprovisioning work for the Shatin to Central Link. The Express Rail Link is a dedicated high-speed railway that will link Hong Kong to China’s 22,000 km high-speed rail network. Sophie joined Farrells in September 2016 after completing her MArch degree at the University of Sheffield. Throughout her studies, Sophie has developed a keen interest in regenerative design through multi-disciplinary methods of working and collaborating. Designing projects that have a strong social agenda to ensure they are fitting to place and community. Her previous experience in practice involves the delivery of bespoke residential projects and the master planning of larger commercial, retail and cultural projects in the UK. Since joining Farrells, Sophie has been part of the external design and cladding team for the Royal Mint Gardens project, a complex residential scheme located on a busy infrastructural network close to The Tower of London. Outside of work, Sophie plays in a weekly 5 a-side football league and enjoys trying out new running routes around London. The 35-acre site at Royal Albert Dock is set to be transformed by Farrells, into a gateway for Asian and Chinese business. Royal Mint Gardens combines visionary architecture and innovative engineering to create a vibrant mixed-use development in a diverse and heritage-rich context without diminishing the quality of protected views of the Tower of London. Gavin, a Director, has more than 25 years of experience directing and managing large-scale projects, ranging from mixed-use facilities to integrated transit-oriented developments, including high-speed rail termini, resorts and hotels, retail facilities, office towers, residential complex and institutional buildings around the world. With a thorough understanding of design and construction, Gavin has successfully applied quality project management systems to many sizable, complex construction projects procured under both traditional and management contracts from inception to completion. 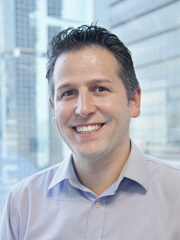 Since joining the practice in 1992, Gavin has continuously worked on a multitude of transportation-related projects, for instance, Beijing South Station – one of the world’s largest high-speed rail stations; the Gautrain Rapid Rail Link in South Africa; and the Peak Tower, Kowloon Station Development and Tsuen Wan West Station in Hong Kong. He was also the Director-in-Charge of various award-winning developments, such as KK100 and Sheraton Dameisha Resorts in Shenzhen, Vattanac Capital in Phnom Penh, China National Petroleum Headquarters in Beijing, BEA Financial Tower and Walton Plaza in Shanghai. 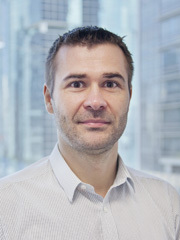 Stationed in the Hong Kong office, Gavin handles contractual and design management issues, technical design issues, specification preparation, buildability reviews and construction liaison of all projects in the office. He also oversees the office’s ISO 9001:2008 Quality Management systems to ensure an efficient, quality design process, guaranteeing good management and execution of every project leading to quality deliverables satisfying the aesthetic, functional, and programme requirements within the cost constraints. Max is a Partner at Farrells, internationally renowned architects with offices in London, Manchester, Hong Kong, Shanghai, Singapore and Sydney. He has led on high profile projects including Royal Albert Dock in London and the Northern Gateway project in Manchester as well as proposals 21st Century mansion blocks as affordable housing. Max’s expertise lies in establishing feasibility for major projects then bringing together investors and local authorities to make them happen as he has done at Castle Green with proposals for 15,000 homes and 8,000 jobs by tunnelling the A13. Max was Project Leader for the Farrell Review, commissioned by the UK Government, which made sixty recommendations spanning education, outreach and skills; design quality; cultural heritage; economic benefits and architecture policy many of which have been implemented. He is Chair of the Civic Voice Design Awards (the only awards nominated by communities) and a judge for “Making Places” National Schools Competition and Architects Journal AJ100 awards. He is on the Steering Group for the National Park City Campaign and the Place Alliance. 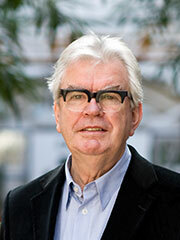 Sir Terry Farrell CBE is considered to be the UK’s leading architect planner, with offices in London and Hong Kong and Shanghai. During 50 years in practice he has completed many award winning buildings and masterplans including Embankment Place and The Home Office Headquarters as well as millennium projects such as The Deep in Hull and Centre for Life in Newcastle. UK Masterplans include Greenwich Peninsula, Paddington Basin and Newcastle Quayside. In East Asia, notable projects include Incheon airport in Seoul, Beijing Station and Guangzhou Station in China (the largest in the world). In Hong Kong he has designed the Peak Tower, Kowloon Station development and the British Consulate. Throughout his career, he has championed urban planning and helped shape government policy on key issues. As recognition of this, in 2013 he was voted the individual who made the Greatest Contribution to London’s Planning and Development over the last 10 years. In London, he is the Mayor’s Design Advisor and advises the Department for Transport on high speed rail. 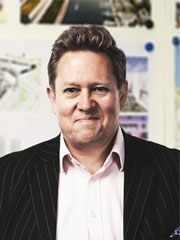 He is Design Champion for the Thames Gateway, Europe’s largest regeneration project and masterplanner for the transformation of Holborn and Earls Court. Terry is a prominent voice in British architecture and planning. In 2014, at invitation of Ed Vaizey, the Minister for Culture, Communications and Creative Industries, Terry and his firm commenced the Farrell Review of Architecture and the Built Environment, to offer expert guidance on the direction of British architecture. 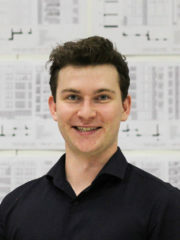 Brandon joined Farrells as an Architectural Assistant in July 2018, after graduating from Newcastle University with a First Class BA Honours degree in Architecture. His final year project was a Surfing Research, Training and Innovation centre in Blyth, Northumberland that looked at creating a destination building inspired by the strong existing surf culture. Brandon’s dissertation investigated the social, economic and political factors behind the resurgence of ‘Collective Living’ into the 21st century and how past co-living models have influenced the one we see today. Since starting at Farrells, Brandon has been working on Ruby Triangle, a mixed-use regeneration scheme on Old Kent Road in Southwark. Alongside this he was also part of the snagging team on site at The Horizon Building in Ilford. Brandon set up his own photography business during his year out before university and has worked as a freelance photographer all over the world. His love for travel and photography has grown ever since. Outside of work you’ll usually find Brandon playing any kind of sport and enjoying a few cold ones with mates. Eirini joined Farrells in 2016. She has worked on the Skylines Project, a mixed used development in the Isle of Dogs, where she has been the project architect responsible for a 2FE Primary School, a Business Centre, the overall site and public realm configuration. She has also been involved in Flint Glass Wharf, a mixed-use masterplan that sits adjacent to the Thames Barrier and the refurbishment of the Grade II listed Pantechnicon Building in Belgravia. 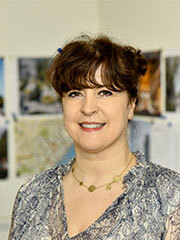 She is currently the project architect leading a regeneration scheme in Hounslow that provides 124 new homes. Prior to Joining Farrells, she has worked for an AJ100 top 10 practice in central London where she was involved in education, custodial and transport projects. Eirini’s experience covers all RIBA Stages from initial concept design and planning applications through to technical design and site support. She has been the project and package lead in a series of projects and has extensive experience of design team coordination and BIM level 2. She studied architecture at the University of Greenwich and the University of East London. She also holds a Masters in International Planning and Sustainable Development, an RTPI accredited course which she obtained with Distinction from the University of Westminster. She has undertaken her Part 3 at the Bartlett School of Architecture, UCL. Eirini is a keen volunteer for organisations that give girls and women the chance to discover their full potential. She is the London Head of Education for the National Association of Women in Construction (NAWIC) as well as a Brownies Leader for a Girlguiding Pack in Battersea. She is a rookie cyclist and loves sailing. In her free time you will mostly find her at the theatre, visiting galleries and travelling. Skylines is a project that seeks to bring 577 units of housing to the Isle of Dogs in East London through three towers of different sizes. Of the units, 62 are at intermediate rent and 109 are at social rent. Flint Glass Wharf will deliver over 500 new homes, combined with new workspace, new retail, new community spaces, and new public realm. It will form a key landmark within the wider regeneration of Charlton Riverside. Konrad has more than a decade of experience practicing globally, from small scale interiors work to large-scale complex developments. 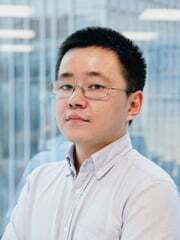 He has designed projects in a wide range of sectors including transportation, mixed-use development, cultural and leisure projects, including the Singapore high-speed rail terminus, Doha Metro, and the Xiamen IFC. Lucía joined Farrells in February 2014 and she has worked since on a wide range of different projects, from masterplan developments like Old Oak Common to the refurbishment of the Pantechnicon. She got her Architecture degree after a five‐year‐program in the University of Seville and after that, she postgraduated in Diagnosis and Repair of Buildings from the Universities of Reggio Calabria, Seville and Lublin with a remarkable grade. Before moving to London, she worked as an Architect for small architectural firms, developing several projects in all phases and taking part in restoration and conservation projects, as well as in Master Plans. She lived in several cities and countries and speaks four languages. During her spare time Lucía loves travelling, reading and playing sports, specially basketball and outdoor activities. She loves wandering around in the cities she visits, and sketching the architecture and atmosphere of the hidden places she finds. Farrells have achieved planning and listed building consent with our sensitive design for the refurbishment of the Grade II listed Pantechnicon Building. 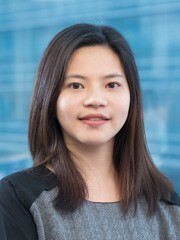 Fangfang Gu joined TFP Shanghai office in 2013. After five-years of systematic architectural education and after five-year of high-intensity practicing in the rapid developing phase of China market, Fangfang is exposed both to urgent needs of solving practical problems and to the concept of developing in a sustainable way. The conflict leads to some thinking and attempts to test. Anna joined Farrells in September 2018, and is responsible for coordinating the marketing strategy, branding, social media, content, communications and PR. She developed her experience in marketing working for practices in London and New Zealand, and uses her art degree to approach tasks with a creative eye. Out of the studio Anna runs a catering and supper club company, and loves cooking for family and friends. Please contact Anna for all press and media enquiries. Felicity is the office assistant, and works within many aspects of the office. She looks after all areas of Health and Safety, Premises and Facilities, as well as assisting the office PA’s and Sir Terry Farrell with daily ad hoc tasks. In her spare time, Felicity is studying a psychology degree. She enjoys trips to Cornwall, yoga and exploring London with friends. Nigel started his career in London, spending 12 years designing and delivering projects across a broad spectrum of sectors including retail, residential, cultural, commercial and mixed-use buildings in, and around the capital. His built portfolio exemplifies meticulous, thoughtful design, and adaptability – a product of his construction experience in the United Kingdom, Europe, India, Hong Kong, and Japan. Fascinated with materiality and manufacture, over the years he has worked with a variety of technologies; with master stonemasons on hand-carved heritage façades, as well as automated computer-aided milling for retail roll-out projects. At present, Nigel is a leading member of the team delivering Hong Kong’s new M+ Museum, a building that challenges local standards in both process and construction. Interior materials and spaces are designed to reflect strength and elegance, key attributes of this future world financial hub. Russ has worked with the practice since 1999. He is involved in the practice’s principle design activities and is responsible for complex, mixed-use urban regeneration projects; building concept development from theory through to detailed interior design is a specialism. His drawings and visualisations contribute to the developing design and expression of the practice. Russ is a lead designer on high profile public and cultural buildings, including the RIBA and World Architecture award winning Great North Museum. He has extensive experience of working in conservation areas with listed buildings, and achieving successful planning consents for projects such as the Grade 1 listed Royal Institution of Great Britain, 7 Albemarle Street and the London Clinic. Russ has excellent mixed use master planning experience leading on successful projects such as North Wharf Gardens at Paddington Basin (with Westminster as direct client) and the Embassy Gardens development at Nine Elms. Russ is currently working with Grosvenor on a new build residential development in Little Chester Street, Belgravia and he detailed development of the Pantechnicon Building in Motcomb Street, Belgravia, including the interface with public realm improvements. The refurbishment and upgrade of the Grade II* Listed 7 Albemarle Street has transformed this building into a 21st Century workplace. 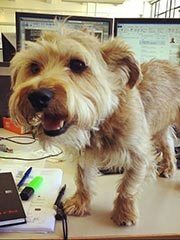 A born and bred Londoner, Harry was adopted from the Battersea Dogs & Cats home by Farrells Partner Neil Bennett in 2005 and soon joined the Farrells team as the office mascot. His current activities in the office include biting his colleagues’ feet when they ignore him, encouraging co-workers to throw his ball and curling up under desks for a good nap, all after a busy day masterplanning. Outside of the office Harry spends his time urban orienteering, visiting the pub and cuddling with Chops, the cat, at home. Simon joined Farrells in 2014 for the redevelopment of the landmark Lots Road Power Station. With a strong portfolio of building delivery, he brings in all his site experience and knowledge and oversees the shell and core construction of the project. 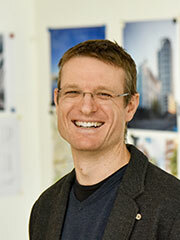 He’s a member of the office QA review panel and the practice mentor of London School of Architecture. Before joining Farrells, Simon had practised over 17 years and realised many buildings in the UK and Far East. As lead designer or project architect, he had delivered a wide spectrum of culture, health care and residential projects including the award-winning Shanghai Science Museum and London Canning Town Regeneration. Located on Lots Road, London SW10, Chelsea Waterfront is a residential led mixed use development. King has over 25 years of experience in a wide range of projects for architecture and interiors projects in the United Kingdom. Hong Kong and mainland China. King has worked at RDJWA, SLHO & Associates and Axiomoval Design and was involved in high profile projects of various scales from concept to construction documentation, including design and build. Since joining Farrells in 2016, King is has worked on the Kowloon East Regional Police Headquarters. 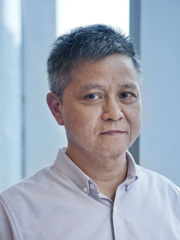 He graduated from Birmingham Polytechnic in 1992 and became an ARB Registered Architect in Hong Kong in 1999. He is also a member of HKIA and RIBA. Earls Court, Euston Station, Imperial Wharf, Hayes and Hillingdon, Convoys Wharf, Charlton Riverside and Herringham Road.Studying Architecture at Wits University in Johannesburg South Africa, Vaughn previously worked at Gensler, Heatherwick and Arup.An artist in his spare time, Vaughn can otherwise be found on his bicycle, exploring London or enjoying time with family. Keithan, an Architectural Technician, joined Farrells after acquiring several years of comprehensive architectural experience in China. 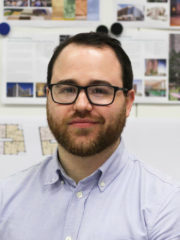 Employing his technical expertise in AutoCAD and Revit, Keithan prepares architectural drawings including plans, elevations, sections, and details. He works with clients to ensure that designs meet their requirements and expectations, helping to ensure that the final product is built to a standard that satisfies users and owners alike. His previous work postings in mainland China provided Keithan the opportunity to work on a wide range of building types, including private villas, large-scale residential buildings, retail developments, hotels, office buildings, gardens, and civil defence basements. He also contributed to energy-efficient residential developments, helping him gain a better understanding of sustainable design principles. 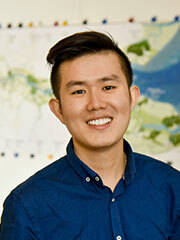 At Aecom, Keithan worked on a variety of shopping centres in southern China. He subsequently joined Farrells in Hong Kong. Outside work, Keithan enjoys outdoor activities and reading news about affairs in his community. He dreams of participating in international astronomic exploration, and enthusiastically follows news of fresh discoveries about the cosmos. Keithan enjoys sports and fitness, and on weekends can most often be found enjoying the outdoors – whether he is climbing, swimming, or playing ball games. Evergrande International Finance Centre is a mixed-use development on a 24,400-square-metre site in Jinan, Shandong Province. The landmark 518-metre skyscraper will be the second-tallest building in China upon completion. a small sketchbook whenever she’s “exploring”. She also loves going back to Wales and hiking whenever she grows tired of city life. 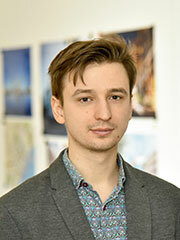 Piotr joined Farrells in 2016 as an architect. He has worked on Royal Mint Gardens residential project and has focused on Townhouses, commercial and communal spaces coordination with consultant information in a wider context of the whole development. Before joining Farrells he worked for different architectural practices in London and was involved in education, office and residential projects. He worked on a wide range of projects from small to large scale developments.Piotr graduated from Silesian University of Technology in Gliwice, Poland with MArch degree in architecture and is a member of Silesian Chamber of Architects. Before he moved to London he worked in Poland on variety of culture, public and sport facility projects and on competitions as well. In his spare time he likes travelling, especially exploring urban context and transport system of European cities. He also enjoys practicing yoga and is very interested in self-development with abstract ideas such as non-duality teaching. 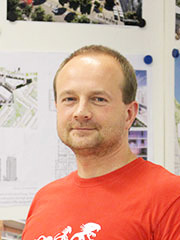 Mindaugas is originally from Lithuania, but lived in Ireland for 10 years, 5 years of which were spent studying at the Institute of Technology, Carlow where he gained a BsC degree in Architecture Technology. At the end of his studies in 2018, he was offered a position at Farrells as an Architectural Technologist. He accepted the job offer and, without much thinking, moved to London to open a new chapter in his life. Since starting at Farrells, he has been working mostly on BIM which includes Revit modelling and detailing. He is now working on LR30 project which includes buildings such as KC1, KC2B, Leisure centre, etc. He is new at Farrells so hasn’t yet had much time to gain experience on other projects, but is looking forward to starting work on new projects and to completing the ones he is working on now. Megan joined Farrells in September 2016, after completing her architectural studies at Newcastle University and the University of Liverpool. As part of her Master of Architecture she led in the design and build of a 50m² star gazing pavilion and community event space in the heart of Northumberland national park, which received a high commendation for the RIBA MacEwen award. Currently Megan is working on the realisation of the Royal Albert Dock masterplan, a large scale mixed use development which, when completed, will form a major new enterprise hub for London. Previous work in practice has focused upon spatial planning for global retail banks and the detailed design of primary healthcare centres and hospitals. An avid reader, Megan is often to be found with her nose in a new novel, or exploring her Welsh homeland on foot or by bike. The Travel Photographer of the Year exhibit in London is always a must-visit, where she dreamily gathers inspiration for her next adventure. 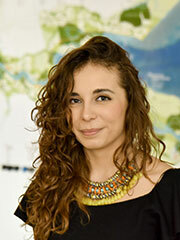 Katerina is an Urban Designer and Architect with more than 8 years of international work experience. 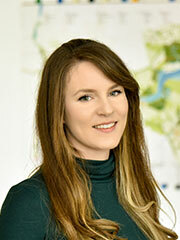 Being part of the Farrells team, Katerina is leading large scale masterplans and public realm studies, such as Gatwick Airport Masterplan and the London Resort. 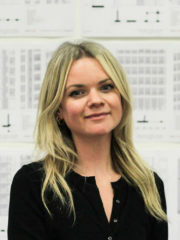 Before joining Farrells, she worked at Transport for London as an Urban Designer for projects associated with major road schemes in London. She completed with distinction a RTPI accredited MA in International Planning and Sustainable Development at the University of Westminster, London for which she was awarded the Vice-Chancellor’s Scholarship. She also holds a Masters Degree in Architecture from Sapienza University of Rome, Italy and Bachelor’s Degree in Architecture from University of Saints Cyril and Methodius in Skopje, Republic of Macedonia. 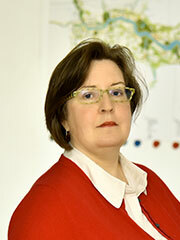 Katerina is experienced in developing masterplans, architectural and landscape design projects, design briefs, urban design appraisals, regeneration schemes and project implementation of sustainable design principles. The comprehensive experience she gained through the years helped her establish a wide-ranging critical knowledge and understanding of the urban planning concepts and issues. She is resilient and persistent in achieving objectives, problem solver, approachable, committed, well organized and resourceful. She enjoys traveling and she is a constant language learner, communicating in 4 languages on a daily basis. access to airports lead Gatwick to commission Farrells in 2012 to support their overall advocacy for a second runway at Gatwick, and a transformation of the airport. The London Resort proposed masterplan includes theme parks, entertainment and associated development, in Swanscombe, Kent, to attract over 15m visitors per year. Judith graduated from the National Technical University of Athens, GR, with a MArch in architecture engineering studies and a distinction in her thesis project. She then moved to London and completed her MArch in Urban Design at the Bartlett School of Architecture, UCL. In 2015 she received her ARB Architect qualification in the UK and also completed the UCL Part III lecture Series. In her spare time Judith loves getting lost in the city, her small adventures as she calls them, and she tries to capture city scenes with her camera and in her sketchbook. She also enjoys travelling, snowboarding and has recently discovered her passion for surfing. 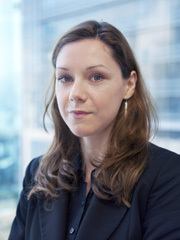 Claire is an Associate who joined the London Office in 2018. At Farrells she is leading the prestigious Lots Road Chelsea Waterfront Project on the Kensington and Chelsea side. She has a wide experience of complicated projects with expertise in existing buildings, Listed Buildings and development in Conservation Areas and bespoke interior design. She has a wealth of experience of live sites and an exceptional understanding of finishes and details. Claire attended Newcastle University, the University of Singapore and the Architectural Association. She loves hanging out with her Spaniel in the park and hunting out the finest food in London. 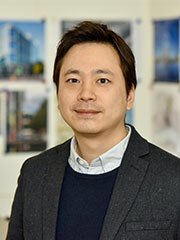 Sangsoo joined Farrells in 2007 as a key member to deliver the Peninsula Place project, a new office building in Greenwich Peninsula, where he has played a key role in the detailed design to completion of the project. He was in charge of various external & internal packages. Since joining Farrells he has worked on many high profile architecture and urban design projects including Regents Place, Lots Road, Peninsula Place Retail, Bicester, St. Ermin’s Hotel, Earls Court, Nine Elms, Eagle House and Royal Mint Gardens. He is currently working on a mixed-use development on Edgware Road in London. He completed his architectural education at the University of Auckland, New Zealand. Before moving to London, he worked at ASC Architects in Auckland, New Zealand since 2004 where he has worked on many new build and refurbishment retail projects across New Zealand and educational and cultural sectors at a variety of scales and scopes. The Regent’s Place masterplan and completed commercial mixed use development represent the culmination of several years of planning, consultation, development and construction. Home to London’s Millennium Dome, Greenwich Peninsula is a highly constrained development site bearing the scars of a diverse industrial history. 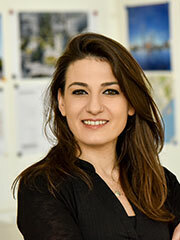 Angeliki has more than 10 years of experience in a wide range of sectors including masterplanning, mixed-use, commercial, and cultural developments in Europe, the Middle East, Hong Kong and mainland China. Angeliki previously worked at Foster + Partners, where she was involved in high profile projects of various scales from concept to construction documentation. Since joining Farrells in 2013, Angeliki has been a key team member on a number of mixed-use developments in China, including the Lujiazui Financial District in Shanghai and the Xiamen IFC. In Hong Kong she has worked on the West Kowloon Cultural District’s M+ Museum and recently on the Kowloon East Regional Police Headquarters in Kai Tak. Angeliki graduated with a master’s degree from the Architectural Association in London in 2007 and achieved LEED accreditation in 2012. She became an ARB registered architect in the United Kingdom in 2009 and a RIBA chartered architect in 2016. Having laid out the masterplan for Shanghai Shipyard, Farrells are now delivering the vision for this strategically significant site along the Huangpu River. 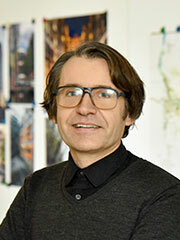 Stefan is an international architect and urban designer with more than 25 years of experience designing iconic, award-winning buildings, master plans, and infrastructure-related projects which have shaped towns and cities throughout the world. His portfolio of built work covers Europe, Australia, Africa, and in particular the Asia-Pacific region, where he has carried projects to completion in Hong Kong, mainland China, Singapore, Korea, Dubai, Thailand, and Cambodia. Stefan has led design teams to accomplish a multitude of large-scale, strategically complex projects of all types, including master planning, cultural, commercial, mixed-use, leisure, healthcare, residential, high-rise, infrastructure and transit-oriented developments. Many of these have won international awards, for instance: the Kowloon Station Development – Winner of the 2001 Best International Interchange Award; the Incheon Airport Ground Transportation Centre in Korea – winner of the The World’s Best Airport Award 2009; and the two largest high speed rail termini in Asia, Guangzhou South Railway Station and Beijing South Railway Station – the latter the winner of both the 2009 RIBA International Award and AIA HK Architecture Merit Award. 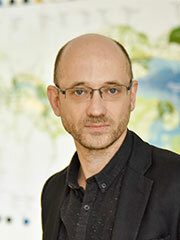 In addition to sitting on the council of the Hong Kong Institute of Urban Design (HKIUD), Stefan has been an active member of the Hong Kong Institute of Architects (HKIA) since 2002 and is currently sitting on both their Board of Practice and Board of Education affairs. 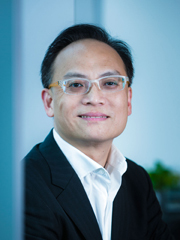 He represents Hong Kong in the Council for Tall Buildings and Urban Habitat (CTBUH). His award-winning work has been featured in books and magazines internationally. Winner of an international design competition, KK100 held the title of tallest building in Shenzhen from 2011 to 2016 and remains the tallest tower ever realised by a British architecture firm. Polly, an Associate, has extensive experience and thorough knowledge in architectural and interior design, planning and project administration for a wide variety of building types, from retail, hotel, office, composite development to high speed rail termini across Asia. She recently led the tender design document review for the Police Officers’ Club on Kellett Island, Hong Kong. She is currently developing the front of house planning for the Singapore High Speed Rail Station from a winning competition concept. She led the interior design package for the front of house area for the two office towers for CITIC on an ex-shipyard site in Shanghai. She was key coordinator for the interior design of a multi-layered underground public concourse in Chongqing, which was connected to two light rail stations, underpass roads and an extensive retail mall for the schematic stage. She led the architectural design team on the detailed design construction documentation of all front of house areas on Guangzhou South Railway Station. Polly was a key member in the architectural design team for the iconic Sheraton Dameisha Resorts in Shenzhen, which provides world-class facilitates on a beachfront setting, a 250-key business hotel in Business Bay, Dubai and a wellness spa in a listed building on the Bund in Shanghai. Farrells won the design competition for a new headquarters for Hong Kong’s public broadcaster. 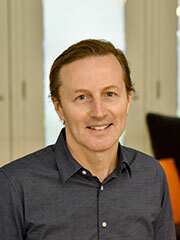 Benjamin, a Director, holds nearly 20 years of experience in all facets of architectural practice. 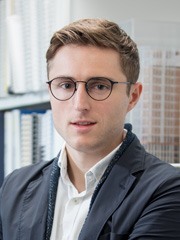 Since graduating from the University of Melbourne’s School of Architecture, Benjamin has led the design of many of the practice’s architecture and masterplanning projects. Working between the Farrells offices in London and Hong Kong, Benjamin played an integral role in much of the practice’s large-scale work across Europe and Asia. His holistic approach to design is rooted in the local context of a particular project. This is exemplified in London’s Swiss Cottage revitalisation, where existing structures of architectural significance were retained and enhanced with new public spaces that enjoyed immediate popularity. In Asia, Benjamin has married this sensitive placemaking approach to the astonishing high-rise development schemes that define China’s growing economy. His expertise in mixed-use transit-oriented development was borne out in the Guangzhou South Railway Station and the New Delhi Station masterplan. Super high-rise schemes include Shenzhen’s KK100, Beijing’s China Zun, Vattanac Capital in Phnom Penh, and Evergrande IFC in Jinan. Time after time, Ben’s deft combination of stunning architecture and careful urban design has produced mixed-use destinations renowned for vitality, beauty, and multifaceted complexity. China Zun, formerly known as the Z15 Tower, became Beijing’s tallest building in 2016 while still under construction. Janice graduated from the Royal College of Art with an MA in Architecture. 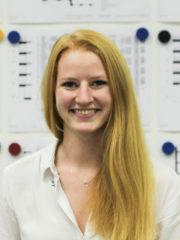 Her thesis project was well-received and published as a featured article in the prominent Dezeen webmagazine. Since joining Farrells, Janice has participated in many projects including the Guangzhou Museum, Hong Kong M+ Museum, and the Dubai Metro. Janice is skilled at hand drawing, sketching, technical drawing, model-making, and 3D visualisation. 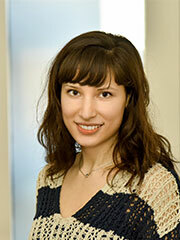 She is proficient in AutoCAD, MicroStation, Photoshop, InDesign, Illustrator, SketchUp, and Rhino. Janice completed both her bachelor’s and master’s degrees in architecture at the Bartlett School of Architecture. 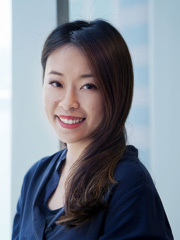 She has garnered practical experience at different size practices in Hong Kong and London. 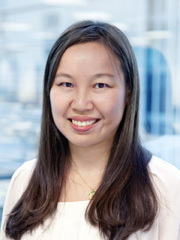 Janice has worked on a variety of projects ranging including mixed-use developments in Norway; government project bids in Hong Kong; A&A works in London; and retail design and construction in Mainland China. Her responsibilities include concept and schematic design, design development and development of construction package through coordination with various parties. 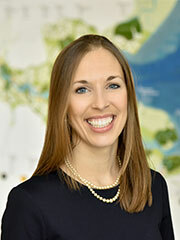 Janice joined Farrells after completing her master’s degree. 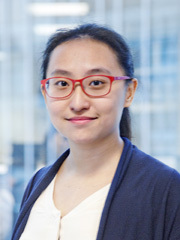 As an Architectural Designer, Janice has participated in a masterplanning design competition and is currently part of the team working on a mixed-use development in Qianhai, Shenzhen. Joyce is a creative mind adept at developing and articulating design concepts through brainstorming, model making, and working collaboratively. 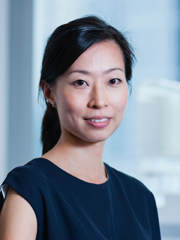 Having worked in both London and Hong Kong, her experience is broad and international, ranging in scale from London townhouse projects to Chinese masterplanning projects. She has worked in many sectors including mixed-use urban complexes, government developments, and interior design projects. In addition to her architectural design and software proficiency, Joyce also has strong graphic skills. She has worked on publications and exhibitions, including the Hong Kong-Venice Biennale in 2014. Joining Farrells in 2016, Hattie provides comprehensive assistance to all of our partners, along with becoming quite the jack of all trades within the office and her role. Hattie is a key member within the office making sure that office parties are organised, the day runs smoothly and making sure partners get from A to B (harder than it may seem!) Hattie has become the ‘go to’ person within the office, being asked about meetings, to finding documents from many moons a go. Hattie is always there to help and will always find a solution, with a smile plastered across her face. During her time at Farrells, Hattie has acquired new skills such as being a trained First Aider and Fire Warden which are in place to look after and nurture all of the staff. She has even dipped her toe in to the great pool of Architecture, helping the CMT Team within the office and even daring to use some Architectural lingo when brave enough. Outside of Farrells, Hattie loves getting lost around the city she is from and discovering new places to have cup of tea (or a glass of wine) with some friends and her three dogs. Emma joined Farrells in September 2018 as an Architectural Assistant after graduating with a BArch with Hons from the University of Nottingham. During her study Emma worked on a live build, Project Myemyela, where a group of second year architecture students designed, fundraised and built a school in rural Limpopo, South Africa. Since joining Farrells, Emma has worked on a variety of urban design projects including; Enfield Vision, Victoria and Castle Green, which have enabled her to develop her understanding of placemaking. Outside of work, Emma loves to travel as a way of exploring new places and trying new activities including; white water rafting, horse riding, skiing and snorkelling. She is now enjoying exploring London, a different world to her home in North Wales. Felix, a Director, has more than 25 years of experience working in Hong Kong. 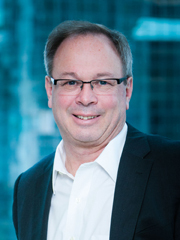 Since joining Farrells in 2006, he has garnered diverse expertise in all sectors: master planning, institutional, residential, mixed use, retail, recreational facilities, transit-related projects, station planning and office buildings. These include the Development Plan for the West Kowloon Cultural District, the M+ Museum, the Kowloon East Regional Police Headquarters, the MTR’s Kennedy Town Station and Swimming Pool Complex, Exhibition Station and Indoor Games Hall/Swimming Pool Complex in Wan Chai North, the URA’s Kwun Tong Town Centre Urban Renewal and Wan Chai Market Urban Renewal, New Delhi Station regeneration masterplan, Ma Wan Residential Development and Hong Kong Science Park. By taking the lead in architectural design by holding planning/design reviews and handling project management and contract administration, Felix has carried countless government and private developments to completion. He also provides direction on management resources, contract and post-contract matters. As an Authorised Person, he liaises with the Buildings Department, Planning Department, Fire Services Department, Architectural Services Department, and other technical departments on statutory matters. 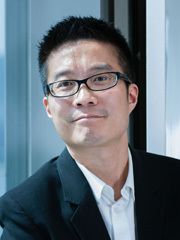 Felix is a Fellow of the Hong Kong Institute of Architects (HKIA) and has served as an elected HKIA council member since 2013. He co-chaired the Board of Mainland Affairs, leading the board in liaison with relevant Mainland government departments and local professional institutes. He was also the Deputy Chair of the HKIA Board of Educational Affairs handling professional assessment, university programme accreditation and continuous professional development activities. Currently he serves as a vice president, overseeing three boards and representing HKIA on different government committees. Replacing the existing depot, the new facility consolidates stabling and maintenance facilities for two rail systems – the existing APM and a new line serving the future Third Runway Concourse. Located on Hong Kong’s prestigious Peak, the Mount Kellett villas command 180 degree views south over the Lamma Channel. 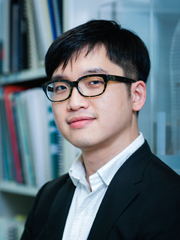 Zi graduated from the University of Westminster with an academic background in architecture and spatial planning. He previously worked in a small firm that specialises in masterplanning schemes in Malaysia. He joined Farrells in 2016 as a Part 2 Architectural Assistant. Since joining, Zi has been involved in large scale masterplans such as Kingsland Dalston; and small scale developments such as Colliers Wood’s Miflats and Brentford’s office building.Fuelled by a real knack for novel ideas, he is fascinated by the power of architecture in distilling the elements of place, ritual and perception, and how in every crisis lies an opportunity for an interesting provocation, or invitation to make a social impact. As a strong architectural design is not wholly about architects and icon-making, it should, in his opinion, be socially driven, articulating as its backbone nu¬merous human-centred design approaches. Zi likes photography, swimming and jungle-trekking. Since 2014, Sandy has welcomed guests to Farrells’ Hong Kong office and provided administrative support to the architectural team. In her spare time, Sandy enjoys sports, including badminton and volleyball, as well as war games. 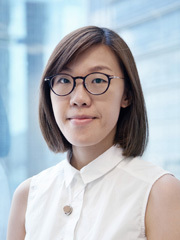 Jacky, a Senior Associate, has nearly 20 years’ experience working on landmark projects in Hong Kong and mainland China, including Guangdong Museum, Guangzhou City Library competition-winning entry, 1 Peking Road, and the Hong Kong Government Headquarters at Tamar. Since joining TFP Farrells, he has contributed to projects of varying scales, including the KK100 Development in Shenzhen, Beijing CBD masterplan and China Zun, now the tallest building in the Chinese capital. Jacky is a strong designer, and with the recent Kennedy Town Swimming Pool and Vattanac Capital (Phnom Penh) projects has accumulated extensive experience and expertise on façade system development, panelisation of complex geometry, and extraction of complex geometric information for further design development and contractor liaison. Julia holds more than 15 years of professional experience. 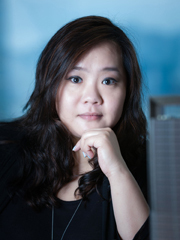 As a key member of the design team, she is heavily involved in projects in mainland China and Dubai. She holds extensive knowledge and experience in architectural design and urban design through all stages of procurement, and delivery through conceptual design to construction stage. She has worked in multi-disciplinary teams and in close collaboration with clients, local architects, consultants and contractors. 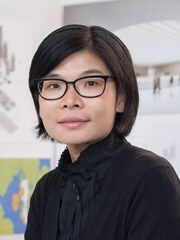 She has designed and managed projects in a wide range of sectors including office tower, retail, hotel, residential development, mixed-use development, and high-quality interior design projects including Qianhai Financial Centre, One Excellence Qianhai, Land Plot 2E31 Shanghai Shipyard, Jinan Evergrande Commercial Complex, Chongqing Nanping Transport Concourse and Art Tamani Office and Hotel in Dubai. 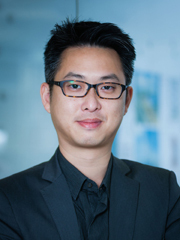 Dennis Lui, a Registered Architect, Member of HKIA, has practiced in the field for nearly 7 years majorly in public and government projects locally, including ASD institutional buildings. He is familiar with the project delivery administration and concerns for local public / government projects, with extensive involvement of different varieties of ASD & public institutions projects, (including minor works & A&A works, hospital bids, new school complex). He is experienced in collaboration with both APs and design architects in the design and administrations including statutory role, during schematic, tendering & construction stages, to achieve the design goal. Currently, he is involving in the high-profile museum project in Hong Kong, the M+ Museum in the West Kowloon Cultural District. It is one of the fore-visioning special buildings in Hong Kong in the field of creative industries in the 21st century. Dennis achieved various awards with active participation in diverse local and international design open competitions, international workshops/ conference, exhibition and community projects. Such global exposure entitled him two international design competition awards and received Hong Kong Institute of Architects scholarships in 2007 & 2011. 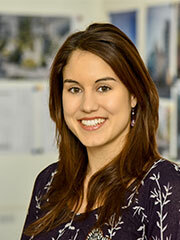 Chloe has experience in the architecture and construction industries in Hong Kong, Macau and mainland China. 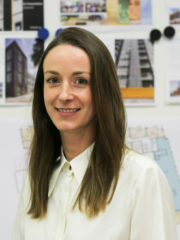 Having worked with projects of all scales, from villa design to large scale masterplanning, Chloe has a diverse professional portfolio with experience in all stages of architectural production, from concept design development to detailed drawing production for submission, tender, or construction. Chloe is familiar with local regulations, procedures, statutory submission and has acquired hands-on contract administration, cost and programme planning and construction experience. She is proficient with various software including AutoCAD, MicroStation, and BIM modelling, which allows her to efficiently produce architectural concepts and drawings. She is presently working on M+, a new museum of contemporary arts in the West Kowloon Cultural District of Hong Kong. A country girl at heart, Maisie made the big move to London from the Peak District in 2017 after being adopted by Farrells Architect Kier White. Now a part time city girl, office duties involve monitoring the studios, and following the team around the office. After a long day of meetings, Maisie can often be found snoring away on her favourite TVAM armchair. Outside the office, Maisie spends her time walking along the river Thames, frequenting the pubs and restaurants of southwest London and bringing a smile to all those who meet her. 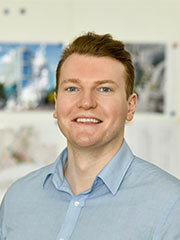 Dan joined Farrells in 2012 as a model maker, creating master planning and architectural development models. In spring 2014 Dan was promoted to senior model maker, and is directing and supervising the Model shop. Following his promotion, Dan put together a business case for a laser cutter for the model shop, which now plays a key role in a broad range of architectural models. Dan studied BA (hons) Model Making at the Arts University Bournemouth, graduating in 2012. This degree taught him a broad range of model making areas including architectural model making, film prop/ costume, and sculpting. During this degree Dan worked on a couple of Shepperton film productions, including Dark Shadows and Hugo Cabret, creating/ texturing background props for the sets. In his free time, Dan is a keen socializer and enjoys surfing and hill/mountain walking when returning to Cornwall (his original home). Pamela is the Finance Partner at Farrells, joining the business in 2010 to manage the strategic and operational financial plans of the practice. Pamela graduated from the University of Glasgow with a Masters in Modern History & Politics, having spent a year studying in the USA. She subsequently graduated with a Post Graduate Degree in Finance from the University of Strathclyde before training as a Chartered Accountant in London. Her career has taken her from Tokyo to Seoul to Doha to New York, accumulating a wealth of experience in senior finance roles both in SME’s and international listed businesses along the way. Away from the office Pamela enjoys photography, painting, gardening, writing and selectively adding to her burgeoning ceramic collection. Adriyana joined Farrells in 2013 as an Architectural Assistant and has worked on projects such as Earl’s Court and Lots Road. 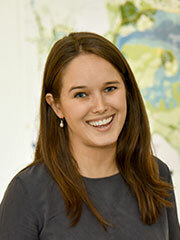 She enjoys being involved in the project coordination within the project design team. Currently, she is doing her Master’s degree in Architecture at the University of Westminster. Adriyana is interested in discovering new architectural approaches in shaping the urban environment whilst preserving historical value. 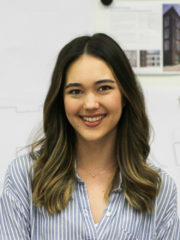 Her architectural aspirations involve working at an urban scale and creating design proposals based on detailed historical research, site relations, view points and intuitive translation of an idea onto spatial layout, structure, materials and detailing. She is also interested in design developed in close relation to environmental processes through innovative methods of construction, showing real understanding of the physical world and derived from the specific topography of the site to build a more sustainable and inspirational place. In her free time, Adriyana likes doing sport, watching documentaries about the creation of the Universe, exploring the British seaside and meeting with friends. Magnus joined Farrells in 2016 as an architectural assistant after graduating with a B.Arch. from University of Westminster, where he was awarded an achievement award for his second year marks. He has an interest in housing policies and social housing and focused his final year at university on gentrification and class segregation. Since joining Farrells Magnus has worked on completing interior fit-out packages for mixed-use residential development Royal Mint Gardens, and is currently working with an early stage residential scheme in East London. Outside of office he spends as much time as possible with his dog, and enjoys hiking and spending time outdoors. His guilty pleasure is watching really bad horror movies (cowardly hiding behind a blanket). Ian is responsible for setting up and maintaining project controls on a number of Farrells’ large projects. Certified in Primavera 6, working with both client and project disciplines, Ian develops project programmes in MS Project and Primavera and maintains and reports on those programmes. He is also responsible for formulating and implementing Project Quality Plans and Programme Reports for inter-disciplinary design teams. As Design Manager, Ian is also experienced in site co-ordination on a wide range of projects. He is also instrumental in the design, development and maintenance of the company Intranet, used for project and resource management. Matias is an Urban Designer and Architect with experience on the design of large-scale mobility infrastructure projects and commercial and residential developments. He participated in the planning and development of several stations of the public transport network in Sao Paulo, Brazil. 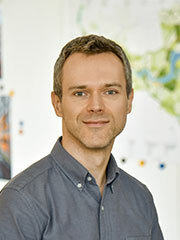 Matias graduated as an Architect and Urban Planner at Mackenzie University in Sao Paulo and completed a Master’s Degree in Urbanism at TU Delft, the Netherlands, with an emphasis on urban design and regional planning. His graduation thesis proposed a Strategic Vision Plan for the city of Altamira, in the Brazilian Amazon, determining guidelines for the development of the region after the implementation of the Belo Monte dam. Kezf, Document Controller, joined Farrells in August 2014. 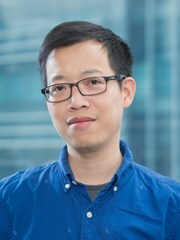 He is responsible for maintaining company documentation in the Hong Kong office including the packages for the West Kowloon Cultural District Authority. His hobbies include travel, music, and reading. 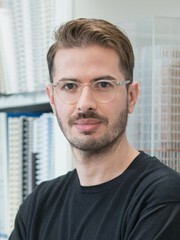 Before moving to Hong Kong, Victor gained international experience by working in several European architectural practices including OMA in Rotterdam, where he focused on the detailed design stage of Fondazione Prada Museum in Milan; BDP in London, where he was part of a multidisciplinary team assisting Herzog & de Meuron on the AstraZeneca biomedical research facility in Cambridge; and GRAFT in Berlin, where he was involved in the design development of the parametric facade and interior space of the Paragon Apartments residential complex in Prenzlauer Berg. Victor is a registered architect with the ARB in the United Kingdom as well as the Romanian Order of Architects (OAR) and holds an integrated bachelor’s and master’s degree from “Ion Mincu” University of Architecture in Bucharest. 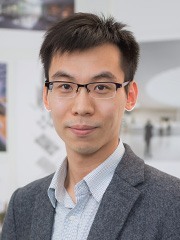 Since joining Farrells in 2016, Victor’s exceptional understanding of BIM technologies, architectural visualisation and digital design processes has made him a key member on projects including Evergrande IFC and most recently the Kowloon East Regional Police Headquarters. Evergrande Jinan International Finance Centre is a mixed-use development on a 24,400-square metre site in Jinan, Shandong Province. The landmark 518-metre skyscraper will be the second-tallest building in China upon completion. Shevaughn is a Partner at Farrells whose vast development experience and construction knowledge support her in the position of overseeing all technical and delivery aspects for the London office. 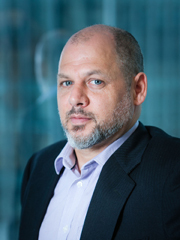 A member of the Executive group in London, Shevaughn is a central part of the senior management team. Leading the Farrells delivery group, Shevaughn is passionately committed to driving projects from scheme design through to completion, whilst her experience and precise aptitude in problem solving allow her to lead large multi-disciplinary teams. Though Shevaughn’s projects are primarily private residential, her diverse knowledge within the industry allows her to provide key advice on all projects, with a particular focus on contractual processes and procedures. Within Shevaughn’s highly impressive career, she has led all contracts to date on our prestigious Chelsea Waterfront scheme from basement, cladding and landscaping through to full fit out works and is currently leading the compliance monitoring role on Lyons Place. Having travelled the world extensively, Shevaughn has a passion for new places and cultures. She has been known to sample London’s latest ‘fad eateries’ and is convinced that the Honest burger is the best in the world. A sensitive yet colourful addition to the Edgware Road, Lyons Place is an innovative development in Westminster. Giulia joined Farrells in 2017 after completing the “International Architectural Regeneration and Development” Master Course (MA IARD) at the School of Architecture of the Oxford Brookes University (UK). 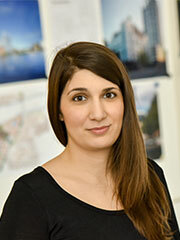 Since joining the urban design team, Giulia has been involved in large scale masterplans, such as Charlton Riverside and Castle Green, as well as smaller development studies such as Pentonville Road and Perceval House. Driven by the awareness that the disciplines of urban design and architecture should relate to each other, she plays a key role in ensuring the connection between the two scales in order to improve people’s quality of life and experience of places through sustainable and good design work. With a keen interest in the modern urban environment and what drives them to be successful places, she brings a European element to Farrells with her experience working in Italy and Spain. With an academic background in architecture and urban regeneration, Giulia first graduated in Italy from the ‘Universita’ degli Studi di Palermo’ with full marks and honours. During her master degree, she spent a year studying in Madrid and two years working in Barcelona. In 2015, she got her Italian Architect qualification and worked for a company on small-scale residential developments. She is a wanderlust traveller. Every time she can, she packs and leaves to explore new places and discover new cultures. and a transformation of the airport. Since joining the office in 2008, Lauren has worked on a range of residential London projects that encompass all aspects of architectural practice from masterplanning to detailed design. This has allowed her to develop her skills in various fields and apply these to a range of projects. Lauren’s strengths include strong management skills adapted to leading design teams, coordinating consultant information and managing the design process. Lauren is currently leading on Royal Mint Gardens Phase One: a complex residential scheme built over the DLR within the historic context of the Tower of London. She has orchestrated a successful S73 planning application, marketing launch and production of the detailed design packages. Before Royal Mint Gardens, Lauren previously worked on the coordination and residential fit out packages for Chelsea Waterfront and also played a key role in the submission of the outline planning application for the high-profile Earls Court Masterplan. 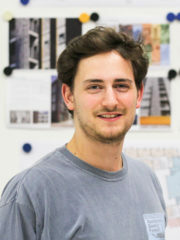 Oleg Joined Farrells in 2014 after earning his undergraduate degree from the University of Newcastle School of Architecture. In 2017, he completed his Part II Studies at the Sir John Cass Faculty of Art, Architecture and Design in London. As a BIM Manager at Farrells, Oleg has worked on nearly all the projects in the office, ranging from large-scale masterplans to residential developments. Apart from his strong digital skills, he is also talented at hand- drawing and is always working on a new illustration. Joshua, a Project Co-ordinator, holds qualifications in civil engineering and building construction. His first posting with the Civil Engineering and Development Department of the Hong Kong government provided him valuable on-site experience supervising the maintenance and reconstruction of several rural piers. He subsequently worked on high-end interiors, hospitality, and residential projects with various private consultancies. After joining Farrells in 2007, Joshua prepared drawings for the Tamani Art Office development in Dubai and coordinated their submission. He has subsequently played an essential role in the delivery of major MTR re-provisioning works, including the Kennedy Town Swimming Pool, on which he worked from design to construction. More recently he worked on the delivery of Kennedy Town Station as well as the Express Rail Link project, a new high-speed railway connecting Hong Kong and mainland China. In his spare time, Joshua enjoys spending time with family and keeping his software skills up-to-date. Likened to a futuristic spaceship by the South China Morning Post, the Kennedy Town Swimming Pool has garnered international awards and press coverage. B.Arch at Kent School of Architecture – graduated in 2014, M.Arch at Manchester School of Architecture – graduated in 2018. Before joining Farrells, Andrew worked on bespoke luxury residential projects, the majority of this time spent working at the construction stage. At Farrells, he has been working on Earl’s Court, primarily helping to redesign one of the nine buildings. Outside of work, Andrew plays in a 5-a-side league and enjoys discovering London with friends. 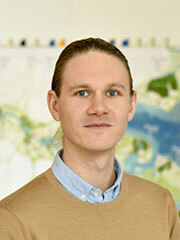 Matt joined Farrells after graduating from the University of Nottingham, where he studied in the sustainable communities unit. During his studies, he has developed an interest in the material, spatial and environmental qualities of architecture, inspired by physical and social context. In Summer 2017, Matt was able to apply his enthusiasm for material tectonics and passion for sustainability, by helping to construct a Passivhaus standard self-build home. At Farrells, Matt is currently working on both the inspection of apartments and the production of construction information for Chelsea Waterfront, gaining first-hand experience of the journey, from initial drawings to the built scheme. In his free time, Matt enjoys cooking, playing football, and exploring the great outdoors. 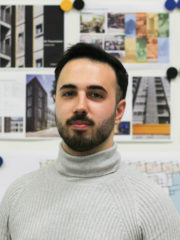 Francesco joined Farrells in 2018 as an Architect, working on the Convoys Wharf project. Francesco holds a master’s degree in Building Engineering and Architecture from “Federico II” University of Naples. He is a Chartered Engineer in Italy and is qualified as an ARB and RIBA architect in the UK. Before joining Farrells, he worked on the Warwick Arts Centre project at EWA, the Attenborough Arts Centre at GSSArchitecture and he participated on several international competitions, winning the web prize on the Naples waterfront project. In his free time, Francesco enjoys sport, especially football, and he is a big supporter of Napoli. He has a strong passion for drawing and designing new objects. 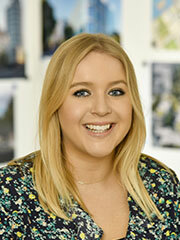 Laura joined Farrells in 2015 as an Architectural Assistant looking to experience a larger team dynamic. Since then, she has worked on numerous projects, from masterplanning bids to the coordination of detailed design packages at Royal Mint Gardens . Laura studied architecture at the University of Newcastle, receiving her BA in 2011 before moving to London to work in the high end residential sector. Loathe to leave London, Laura then applied to study for her M.Arch at the University of Westminster where she enjoyed exploring the role that chance can play in urban scale interventions. In her free time, Laura enjoys running and cycling and the occasional foray into the world of climbing. A normal weekend will find her catching up with friends in London or back in Leicester catching up with her dog. Mike is one of Farrells most experienced project directors and has worked on many of the company’s high profile masterplans and building projects in the UK, Hong Kong and Korea. He plays a central role within the practice’s design group, which is responsible for complex mixed-use urban regeneration projects. During his 22 years at Farrells, Mike has designed and delivered numerous masterplans and complex buildings in sensitive sites involving negotiations with statutory bodies, planners, interest groups, English Heritage and CABE including the organisation and direction of consultant teams. During his spare time, Mike enjoys spending time with his family and seeing as much of the world as possible. 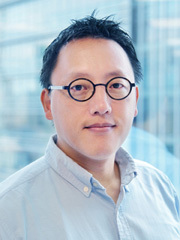 Joon is a registered architect in Massachusetts with nearly 15 years of practical experience in the United States, Korea and Hong Kong. 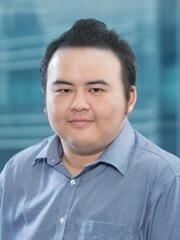 During his professional career, Joon has worked on a number of prominent infrastructure projects, including Singapore Changi International Airport Terminal 4, Beijing Daxing International Airport, Bangkok Suvarnabhumi Airport Midfield Satellite Concourse and Hong Kong International Airport Midfield Concourse. 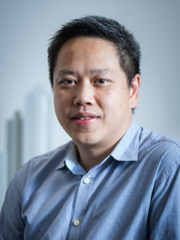 He has also designed and delivered mixed-use development in China, Indonesia and Malaysia. With his understanding of current 3D and construction technology, Joon has successfully delivered and completed high profile residences and complex shaped towers, like the Korean-Air Pavilion or Twin-Tree Tower in Korea. He is currently working on the new Singapore high-speed rail terminus. Joon gained a master’s degree from the Harvard University Graduate School of Design in the United States. After becoming a registered architect in Massachusetts, he also achieved LEED accreditation. 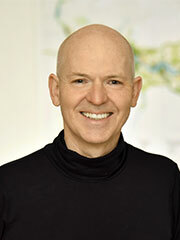 He is an acting member of NCARB and the American Institute of Architects (AIA). Nira joined the Farrells finance team in May 2014 as an Accounts Assistant. She is currently studying towards an ACCA qualification, and her role at Farrells is giving her broad experience of financial management, audit preparation, HR and payroll which supports her studies. Outside of Farrells she runs Candy Buffett table decoration for parties (check out her Facebook page Creative Candy by Nira),and enjoys yoga, badminton and spending time with her family. Since joining us in 2013, Katty has been invaluable in providing administrative support to the Farrells Hong Kong office, helping senior staff with a variety of projects and making business travel arrangements. In her free time, Katty can most often be found hiking, watching movies, or listening to music. Cedric, General Manager of our Shanghai ofice, joined Farrells in 2005 with extensive experience in architectural design and urban planning as well as co-ordination and presentation for different projects of varying scales. 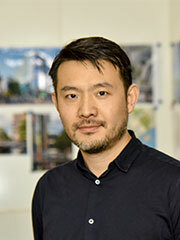 From masterplans to retail and mixed-use developments, he has been involved in a diverse range of projects in mainland China and Dubai, in particular the planning of several urban renewal projects in addition to new township developments. One of these was The Springs City in Shanghai, for which the vision was to create a place for living, working and leisure in an ecological environment. He has played integral role in designing some of Asia’s most iconic museums and mixed-use developments, including the tallest skyscrapers in both Shenzhen and Cambodia. Educated in Paris, Cedric wields an architectural aptitude for the coherent fusion of eastern and western cultural references. His rich and diverse design experience exemplifies a comprehensive understanding of the importance of architecture inspired by local context and ecology. Edwin joined Farrells in 2011 following his undergraduate degree at Newcastle University and having spent a year in a small architectural practice specialising in interior refurbishments. He continued to work at Farrells during his Masters at Westminster University and his Part 3 studies at London Metropolitan University. During his time at Farrells, Edwin has worked on a number of projects including Royal Albert Docks, Earls Court, Convoys Wharf and Old Oak Common. He has primarily been involved in the delivery of Chelsea Waterfront, which comprises four high-end residential buildings including a 37 storey tower overlooking the river Thames. Also included within the Lots Road Masterplan, Edwin has lead the design, planning and delivery of two pedestrian bridges and an Entrance Pavilion. In his spare time Ed can often be found on a football pitch, playing 11-a-side on the weekends and organising 5-a-side games during the week with his colleagues. Ed has now joined the Hong Kong office. 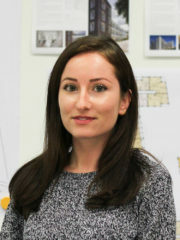 Ioana joined Farrells in 2017 and has been focused our large-scale masterplans and design guidelines. She has played an essential role in delivering one of the UK’s largest residential-led regeneration schemes for over 15,000 homes – Manchester Northern Gateway, amongst other mixed-use projects. Keen to build a diverse portfolio, she has been involved in the successful completion of projects both in the UK and around the world, ranging from strategic visions to mixed-use masterplans and detailed capacity studies. 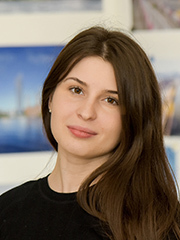 Prior to joining Farrells, Ioana worked as an urban designer and planner in both the public and private sector in Bucharest, Romania. Having graduated with distinction from MA Urban Design at the University of Westminster, Ioana has a strong education in urban design and planning, as well as consistent knowledge in architecture, having previously completed a 4-years undergraduate course in Urbanism at the University of Architecture and Urbanism “Ion Mincu”. 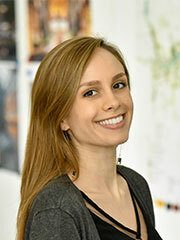 Passionate about delivering highly sustainable and unique places, Ioana is always looking for holistic design solutions that build on the character and history of the place and allow for them to foster innovation across time. Kent, to attract over 15m visitors per year. More than 300 acres of land north of Victoria station, through the neighbourhoods of New Cross, Lower Irk Valley and Collyhurst will be developed on as per a masterplan from Farrells. Pearly, an Associate, has worked both in Hong Kong and London for more than 10 years. She gained experience on a wide variety of projects in Hong Kong, mainland China, and London, having been involved in architectural design, masterplanning, and planning submission for major urban regeneration projects in London and China. Pearly’s experience in Hong Kong has involved various stages from feasibility design to government submissions, project management and construction. Through the past few years of work, she has developed excellent project management and coordination skills as well as broad technical knowledge. Trine joined Farrells in 2015 as an Architectural Assistant, working on numerous projects since then, including the redevelopment of Earls Court and several Interior Design Projects. Trine studied architecture in Denmark at Aarhus School of Architecture, receiving her BArch in 2011. 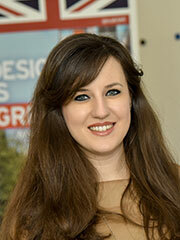 Before continuing with her masters she has worked as an architectural assistant in Sydney and London. 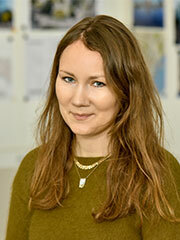 She returned to Aarhus and received her Masters from studio “Theory Translation in Architecture” in 2014. For her final year thesis project she was awarded a RIBA president’s silver medal nomination. Having missed the city of opportunities she returned to London to join Farrells. As well as practicing yoga and swimming weekly, she loves exploring London’s delights, absorbing all aspects of its Art, Design and Architecture. James joined Farrells in 2011 as a 3d visualisation specialist and is responsible for overseeing all visualisation material undertaken both in-house and externally. Originally trained as an architect in Perth Australia he worked at Donaldson Warn Architects before moving to Stuttgart, Germany in 2001. During his time in Germany he worked at Behnisch and Partner Architekten and Auer Weber Architkten primarily collaborating on competition entries. Moving to The Netherlands he continued to work as a competition project architect for Claus en Kaan Architecten and in 2005 decided to focus his attention exclusively on producing visualisation material. Concurrently to this work he designed and built a number of residences in The Netherlands and aboard. 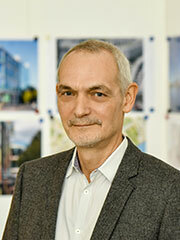 Duncan has worked with Farrells since 1987 and has over 30 years’ experience on a wide range of projects, from a detailed involvement with the design and implementation of the MI6 Headquarters Building at Vauxhall Cross through to complex masterplans such as Earls Court and Royal Albert Docks. Currently, he is leading the Northern Gateway Masterplan in Manchester. Duncan has also assisted with the development of proposals for large new urban masterplans for Vauxhall Town Centre and Convoys Wharf, in London as well as others, including campus work for numerous UK universities. In addition to this, new villages such as Calderwood demonstrate his interest in actively creating places and understanding communities and constraints. While also having worked on international projects, Duncan traveled to China with the Mayor of London and his trade delegation, promoting the Asian business park development at Royal Albert Dock. Having presented widely to statutory and amenity bodies he has established strong working relationships with numerous local authorities and provides advice on the urban integration of project proposals. Duncan remains actively involved in emerging practice, reviewing and recommending design exemplars. He firmly believes in the evolution of design and its further iterations framed by a thorough understanding of cultural, historical and physical context. Kier joined Farrells in 2016 as a project architect. During his time at Farrells he has been working as project architect for three residential towers within a large mixed-used masterplan in Canary Wharf. Kier previously worked at an international practice based in London. He has experience working in the residential, commercial, hospitality, civic and public sectors. Previous projects include several residential towers, the re-generation of a city block with listed buildings in central London, hotels, an exhibition centre and a sports stadium. Kier brings a wealth of technical knowledge, and has experience managing projects from concept to completion. Kier studied at the Manchester School of Architecture for both his Undergraduate and Batchelor Degree. He is an ARB registered architect and obtained this at the London Metropolitan University. Out of the office Kier enjoys running, cycling, skiing and travels to experience different cultures as often as he can. 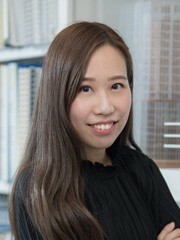 Yinying holds more than 10 years of experience on metro-oriented mixed-use projects and civic buildings. She gained a bachelor degree in 2006 from Tongji University in Shanghai. 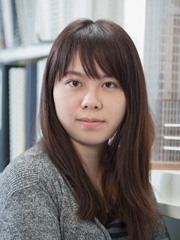 Yinying became an class 1 registered architect in the People’s Republic of China in 2012. She has previous work experience at Tongji Architectural Design, the Shanghai Municipal Engineering Design Institute (SMEDI), and she was involved in high profile projects of various scales from concept to construction documentation. 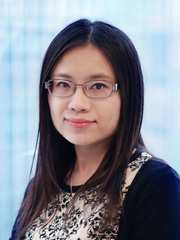 Since joining Farrells in 2014, Yinying has worked on the SPRD project in Shanghai and recently on the Xiamen IFC. Chris has over 20 years of experience with a particular emphasis on rail and infrastructure design and planning, encompassing all design stages, and a specialisation in the integration and connectivity between metro stations and topside development. The majority of this direct experience has been gathered in Hong Kong working with KCRC and MTRC, making use of the Hong Kong “rail plus property” model, whereby the development rights above the stations is used to fund the cost of railway construction. The expertise that Chris has honed in Hong Kong has been applied abroad. Chris has taken a leading role in such projects as the Incheon International Airport’s Ground Transportation Centre (Seoul), as well as two iconic high speed rail stations in China – Beijing South and Guangzhou South. Chris is currently leading a team to develop the design of the new Singapore high-speed rail terminus, including connectivity to the surrounding Jurong Lake District masterplan. The new railway will provide a 90 minute link to Kuala Lumpur. Other notable projects that Chris has worked on include the include the Sheraton Dameisha (Shenzhen), The Richardson (Perth), Walton Plaza (Shanghai), and numerous mixed-use urban design masterplans. This five star resort hotel on the Mirs Bay coastline is the largest hotel in Dameisha, a place of respite from busy Shenzhen. The Shatin to Central Link is the largest expansion of Hong Kong’s metro network in years. Gary Young is a qualified architect with 30 years experience in environmental design and architecture and has been in the forefront of sustainable design throughout his career, beginning in 1980 with contribution to the Ralph Lebens publication of the CEC First European Passive Solar design competition. Gary Young lectured on environmental design in architecture whilst a studio design tutor at Kent Institute of Art and Design from 1992-2000. In 1993 Gary Young and Gabrielle Higgs designed the prize winning Europan 3 housing competition project in Haarlem, Netherlands for passive solar housing designs. Recent housing design awards and commissions by Gary Young include a commended entry for 2007 British Homes Awards Home of the Future and 2007 RIBA Tomorrows Garden City housing for North Hertfordshire Homes. 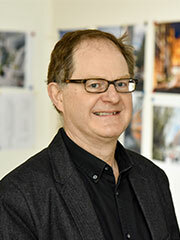 From 1982 Gary Young joined Terry Farrell and Partners and has been extensively involved in urban design and masterplan projects including mixed use city centre urban design, business parks; residential, universities, arts complexes, railway stations, ferry terminals, bus and rapid transport interchange. The Cambourne masterplan for a new settlement of 3000 houses on 400 hectare site for Alfred Mc Alpine Homes was approved by South Cambridge Council in 1996. Three linked villages each centered around a village green and a local focus incorporating existing farm buildings, trees and bridle paths. The natural landscape includes balancing ponds and ecology park. The masterplan for a sustainable community with emphasis on recycling, renewable energy, home working, cycle routes and public transport and low energy buildings. Farrells eco-development will be part of a long-lasting and holistic plan for the whole of Bicester Town. Participated in numerous key projects within the firm. His architectural experience ranges from commercial design, residential design and institutional design. Jonathan’s project involvement is holistic and includes design and planning compliance, project and contract administration as well as preparation of sales related activities for residential developments. 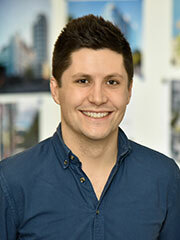 Jonathan has a combined working experience of 6 years in the field of architecture and is a member of the HKIA. Patrick, a Project Director, has worked in Hong Kong since 1992. He has accumulated a diverse range of experience on projects in Hong Kong, mainland China and abroad. These include masterplans of major infrastructure projects such as railway, subway and airports, educational buildings recreational facilities, institutional buildings, hotels and office buildings. He has extensive experience in transport related projects, including the Gautrain Rapid Link and several MTR projects. Most recently, he led the detailed design for a URA project in Kwun Tong, Kennedy Town Swimming Pool, Zhuhai Hengqin Commercial Complex development and Shangri-la’s mixed use development in Ulaanbaatar. As a transport expert, Patrick led the design for the new Exhibition Station and associated works of the Shatin to Central Link for MTRC, and was also involved in the Gautrain Rapid Link stations and C710 MTR contract.